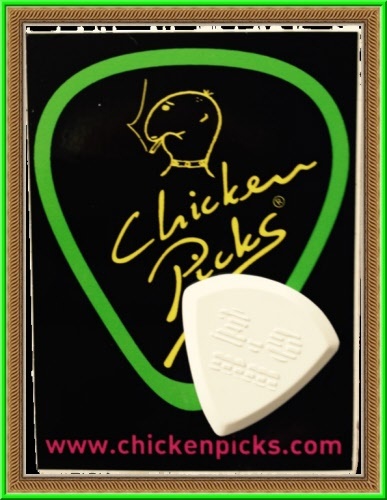 Chicken Picks: Dutch quality picks! 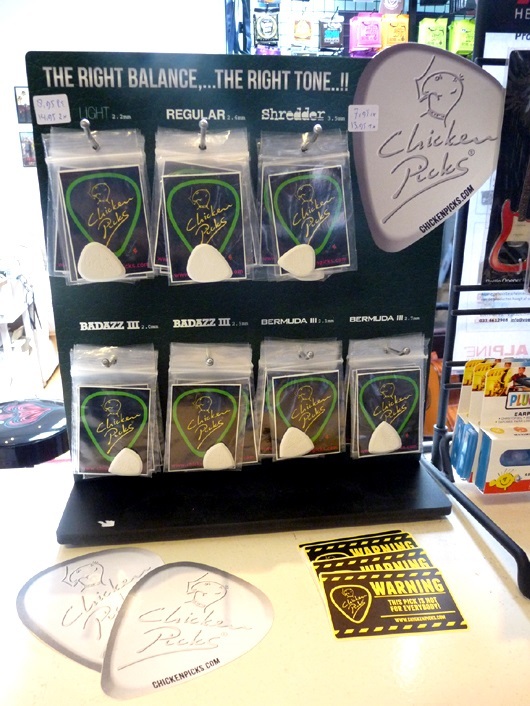 The Dutch guitarist Eppo Franken designed these special quality picks for a unique sound. 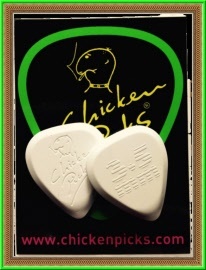 The Chicken Picks are handmade with a sustainable lasting ceramic plastic. They are designed for long play! 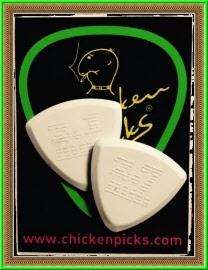 The sounds of these picks is exclusive. It does not matter what style is being played. Everything sounds a bit more sharper, higher and fatter. 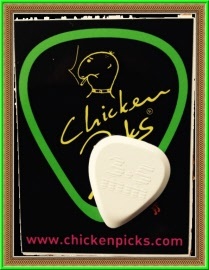 Each style of playing gives more details in sound. Plectrum-online.com has an exclusive deal with Chicken Picks to sell the picks in the Netherlands. All these shapes come in different gauge. Introduction of one Chicken Pick. Light. Material: high quality ceramic plastic. Size: 2.2 mm. Color: white with color print on back. Now on sale from € 10,95 for € 8,95. Introduction set of one Chicken Pick. Regular. Material: high quality ceramic plastic. Size: 2.6 mm. Color: white with color print on back. Now on sale from € 10,95 for € 8,95. Introduction set of two Chicken Picks. Light and regular. Material: high quality ceramic plastic. Size: 2.2 mm and 2.6 mm. Color: white with color print on back. Now on sale from € 17,95 for € 14,95. 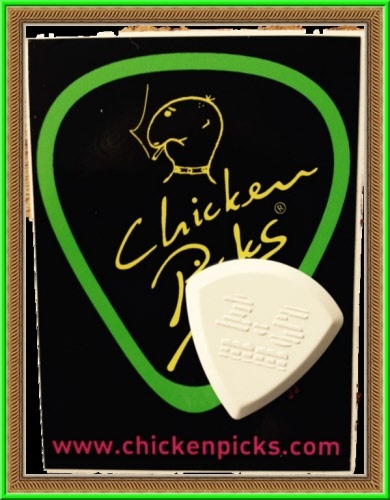 Introduction set of one Chicken Pick. Schredder. Material: high quality ceramic plastic. Size: 3,5 mm. Color: white with color print on back. Now on sale from € 9,95 for € 7,95. 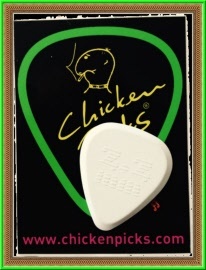 Introduction set of two Chicken Picks. Schredder. Material: high quality ceramic plastic. Size: 3.55 mm. Color: white with color print on back. Now on sale from € 16,95 for € 13,95. 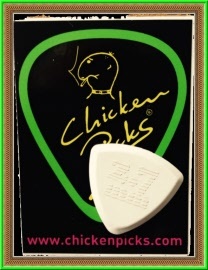 Introduction set of one Chicken Pick. Badazz. Material: high quality ceramic plastic. Size: 2,00 mm. Color: white with color print on back. Now on sale from € 9,95 for € 7,95. 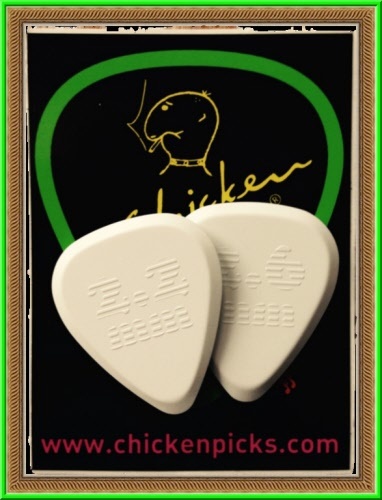 Introduction set of two Chicken Picks Badazz. Material: high quality ceramic plastic. Size: 2,5 mm. Color: white with color print on back. Now on sale from € 9,95 for € 7,95. 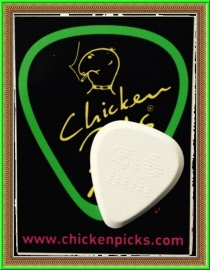 Introduction set of two Chicken Picks. Badazz. Material: high quality ceramic plastic. Size: 2.0 and 2.5 mm. Color: white with color print on back. Now on sale from € 16,95 for € 13,95. Introduction set of two Chicken Picks. Bermuda. Material: high quality ceramic plastic. Size: 2.1 mm. Color: white with color print on back. Now on sale from € 10,95 for € 8,95. 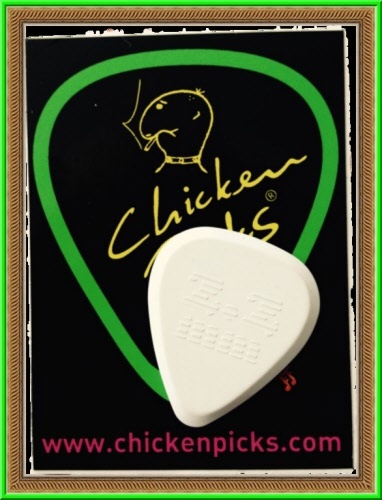 Introduction of one Chicken Pick. Material: high quality ceramic plastic. Size: 2.7 mm. Color: white with color print on back. Now on sale from € 16,95 for € 13,95. Introduction set of two Chicken Picks. Bermuda. Material: high quality ceramic plastic. 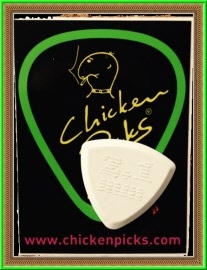 Size: 2.1 mm and 2.7 mm. Color: white with color print on back. Now on sale from € 17,95 for € 14,95. Introduction set of seven pieces Chicken Picks. Material: high quality ceramic plastic. Light 2.2 mm en Regular 2.6 mm. Schredder 3,5 mm. Badazz 2,0 en Badazz 2,5 mm en Bermuda 2,1 en 2,7 mm. 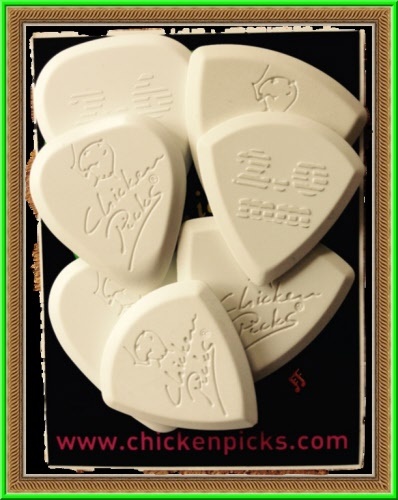 Complete set containing all the different Chicken Picks. Color: white with. 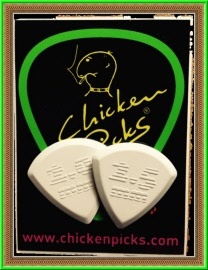 Chicken Picks logo on back.. Now on sale from € 79,95 for € 49,95.